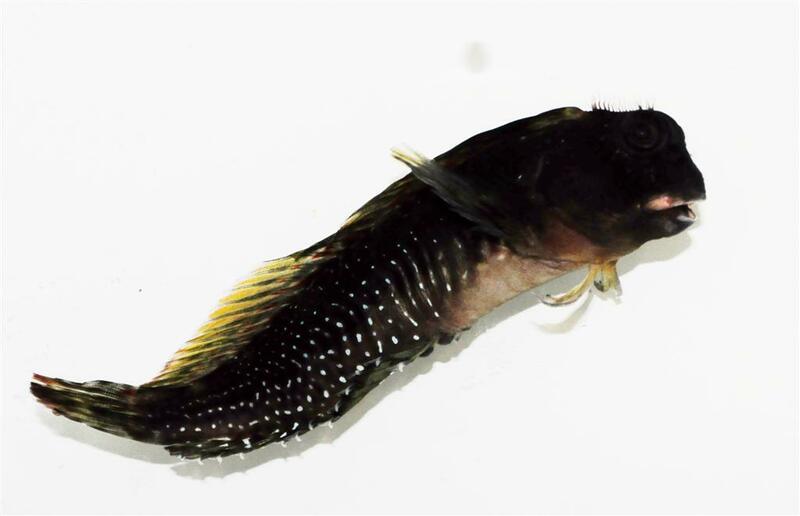 One could scarcely refer to the Molly Miller blenny as an “ornamental fish.” To be sure, it is one of the most hideous animals that an aquarist’s money can buy. With its bulbous, bony head, huge eyes and a crown of bristlelike appendages, it bears the visage of something out of a Dr. Seusian nightmare. In lieu of the bright hues and gaudy patterns characteristic of so many other coral reef fishes, it is colored only with blotchy patches of drab browns, greens and grays. Lacking a well-developed swim bladder, it more or less lays on the bottom, clumsily scooting about in a most ungraceful manner. 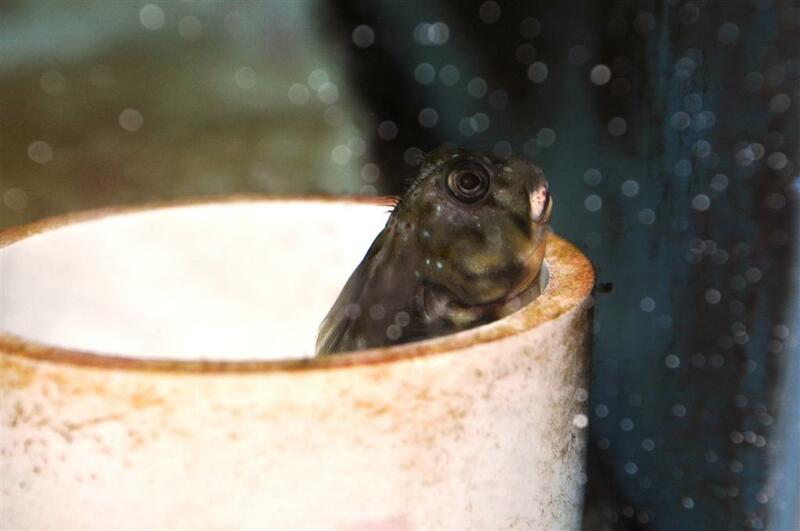 Really, as far as outward appearances go, its only saving grace is the sad consolation of being (at least to some fishkeepers) so ugly that it is cute. 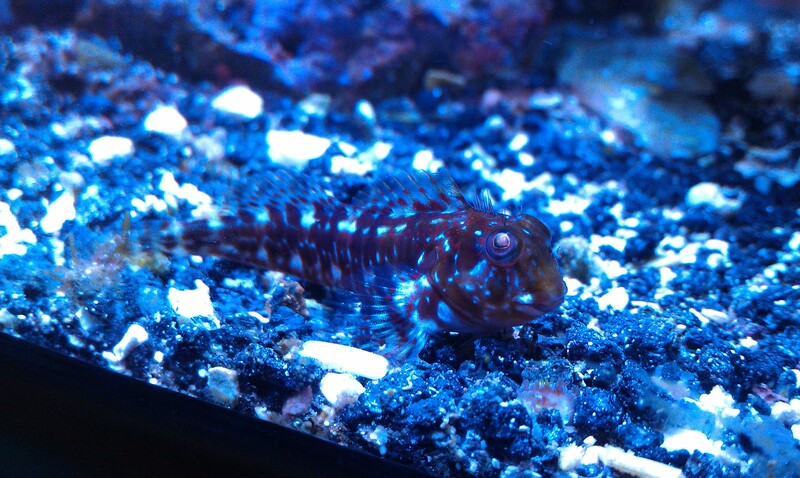 While it may not be the best looking fish out there, the Molly Miller blenny does possess an abundance of something aquarists universally refer to as “personality.” The antics of this intelligent, excitable and oftentimes scrappy animal are well known–indeed celebrated–among those who have kept them. S. cristata is distinguishable by its prominent nuchal cirri; as it matures, the cirri appear–often one by one–to eventually form a tufted patch atop the head. Photo by Chris Turnier. 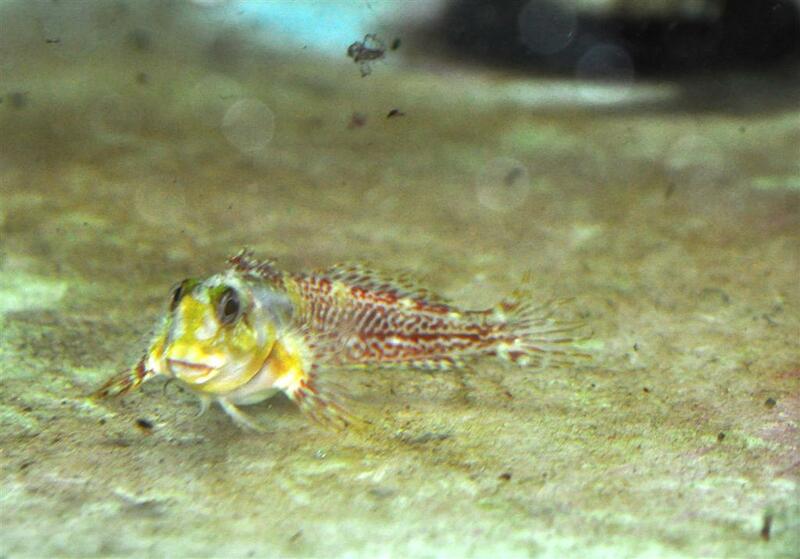 All of that being said, the Molly Miller blenny might best be described as a “utility fish.” This not-so-fussy eater has earned a reputation as an effective aquarium scavenger; it is known to feed on nuisance algae and detritus, and is widely reputed to feed on cyanobacteria and Aiptasia spp. 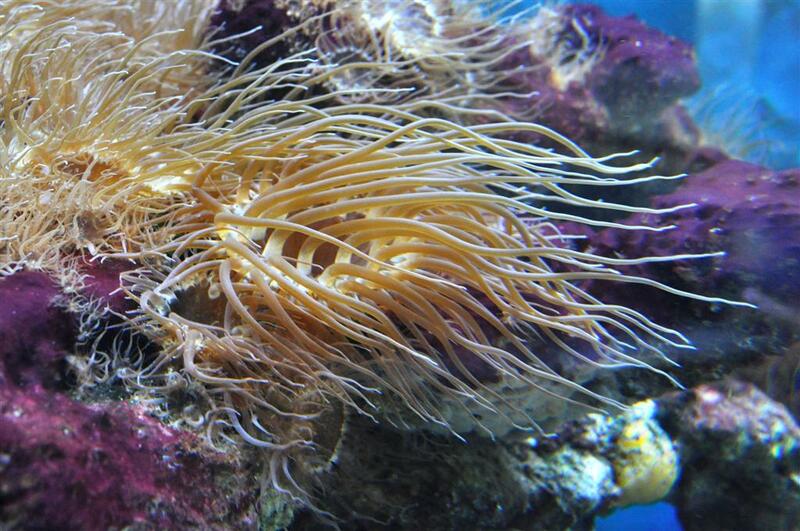 sea anemones. 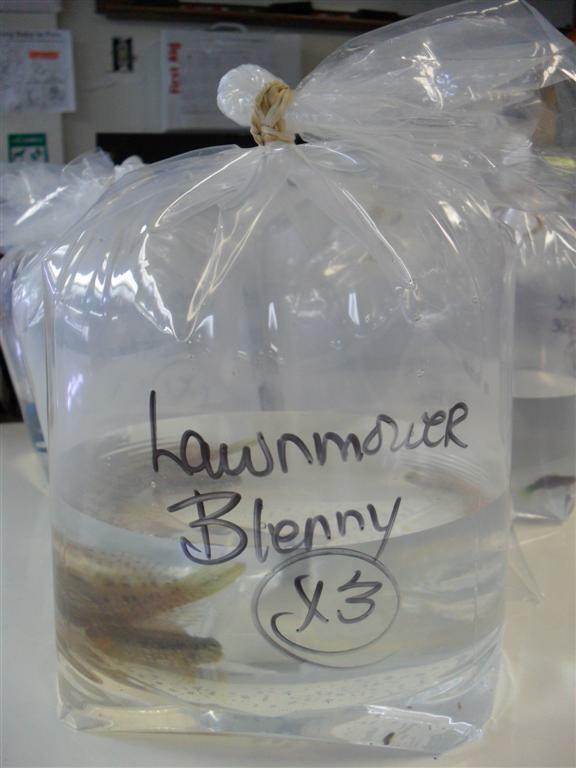 If even half of these reports hold up to truth, the Molly Miller blenny could truly be the preeminent clean-up critter of the marine aquarium fish trade. 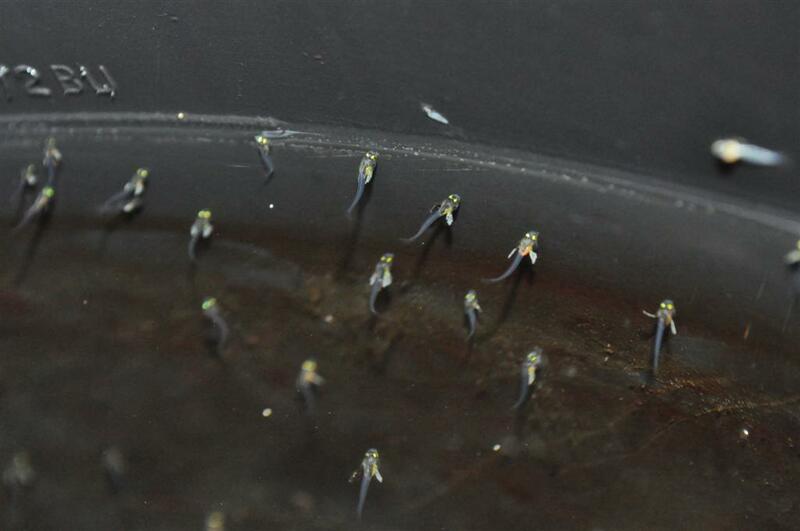 To note, it may be the first fish species to be commercially tank bred for this purpose. Individual nests often contain clutches that have been fertilized by multiple males. 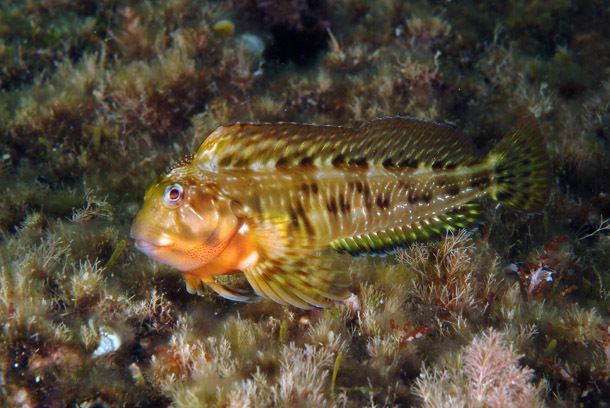 Surreptitious fertilizations of “bourgeois” male nests by “sneaker” males are rather common among Molly Miller blennies; indeed, this species exhibits some of the highest frequencies of cuckoldry of all nest-tending fishes. Data from the above-mentioned survey indicate that over 12% of progeny may be sired in this manner. 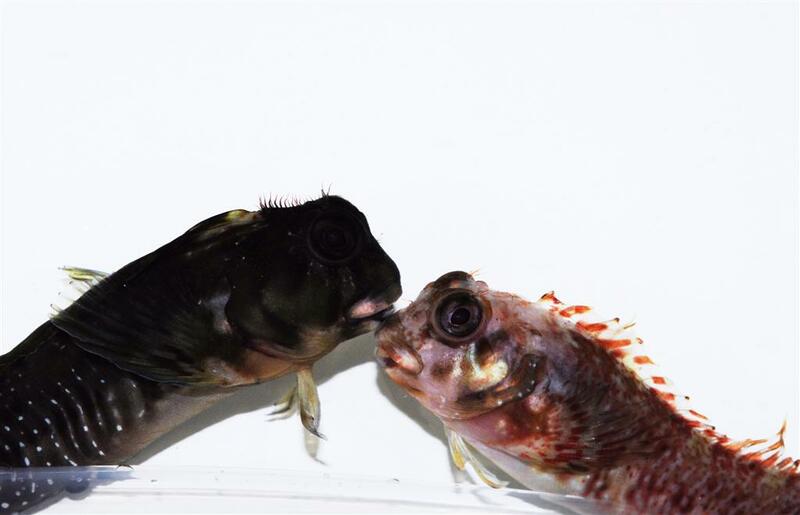 A simple experiment performed at Sustainable Aquatics has demonstrated the Molly Miller blenny’s appetite for Aiptasia. 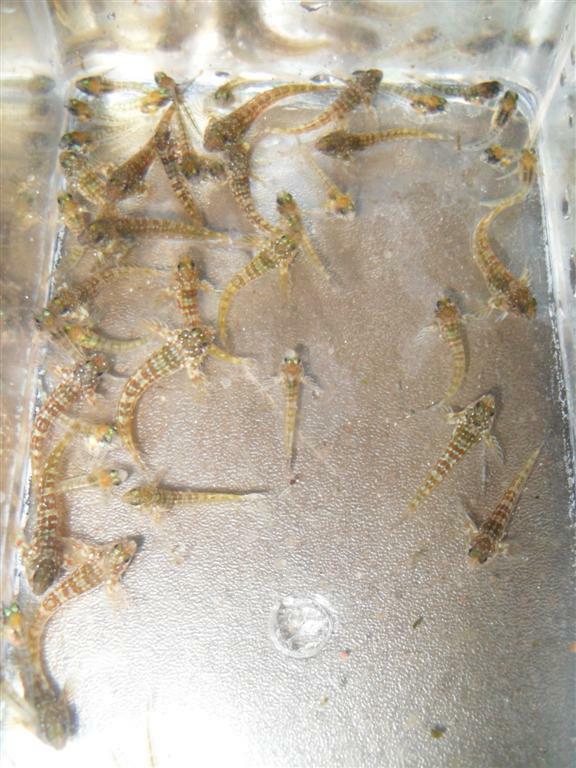 Two cubicles in a large, recirculating system were emptied of fish. Each cubicle contained a similarly sized population of Aiptasia and red microalgae (unidentified benthic rhodophyte), as well as an equivalent amount of detritus. A tank bred, four-month-old S. cristata specimen was placed into one of the two cubicles. 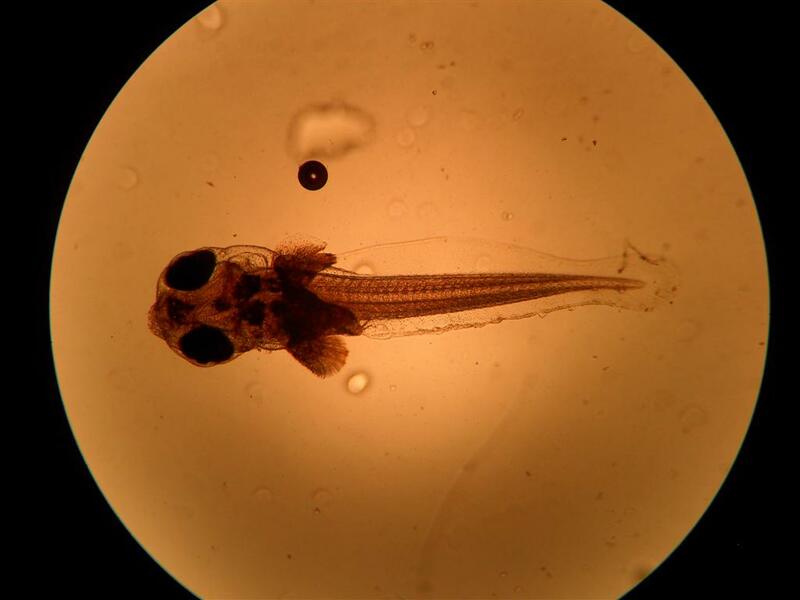 The fish did not receive supplemental feedings throughout the trial. 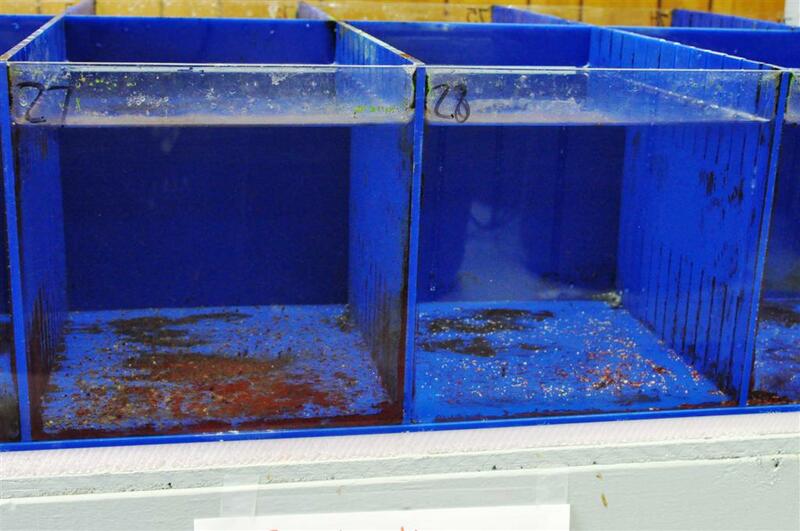 By Day 2, there was a marked decrease in Aiptasia and algae populations as well as a reduction in the amount of detritus in the cubicle containing the fish; no changes were observed in the adjacent cubicle. By Day 10, much of the algae, most of the detritus and all of the Aiptasia had been eliminated. 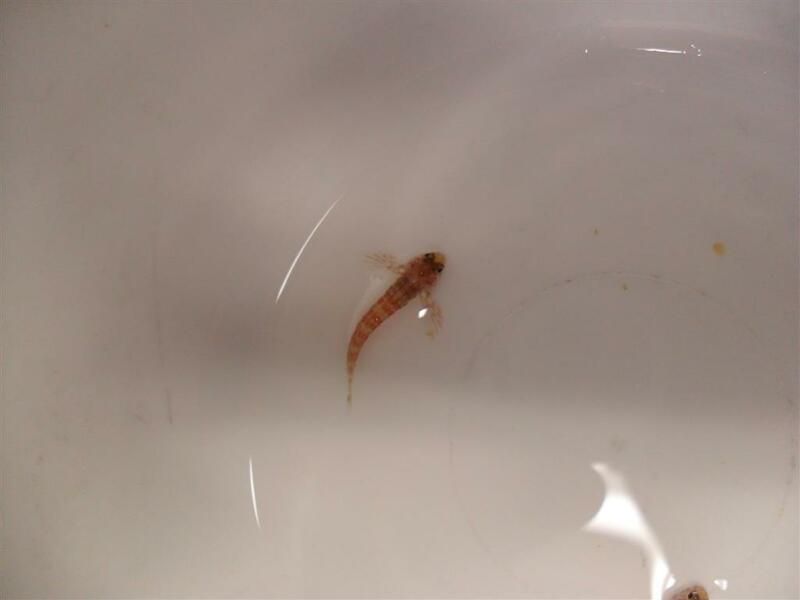 The fish was transferred to the adjacent cubicle after 10 days. Over the next 10 days, a very similar pattern was observed in the cubicle containing the fish; during this same time, no Aiptasia, some algae, and significant amounts of detritus reemerged in the vacated cubicle. 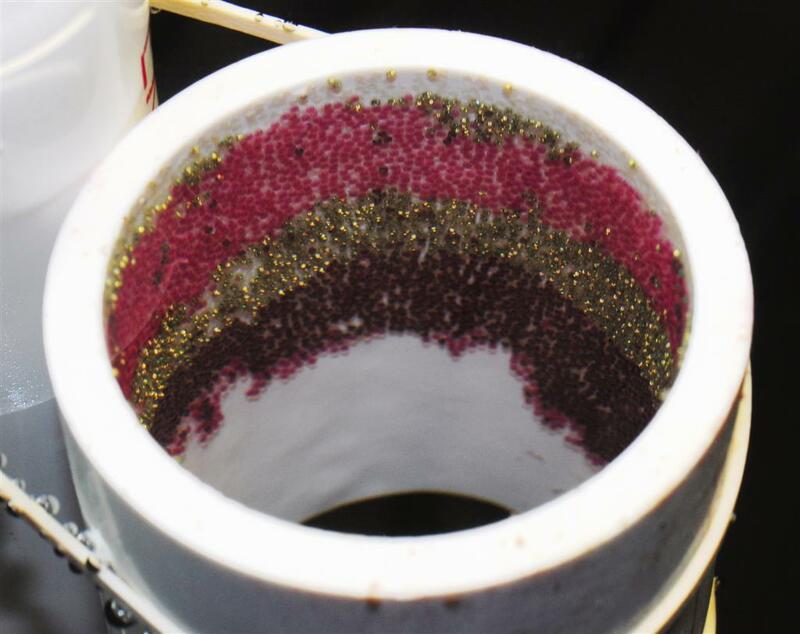 While the results of this experiment do not conclusively prove any of the aforementioned claims circulating within the hobby, they do suggest that the presence of S. cristata can suppress proliferation of microalgae and Aiptasia, as well as reduce detritus accumulation. 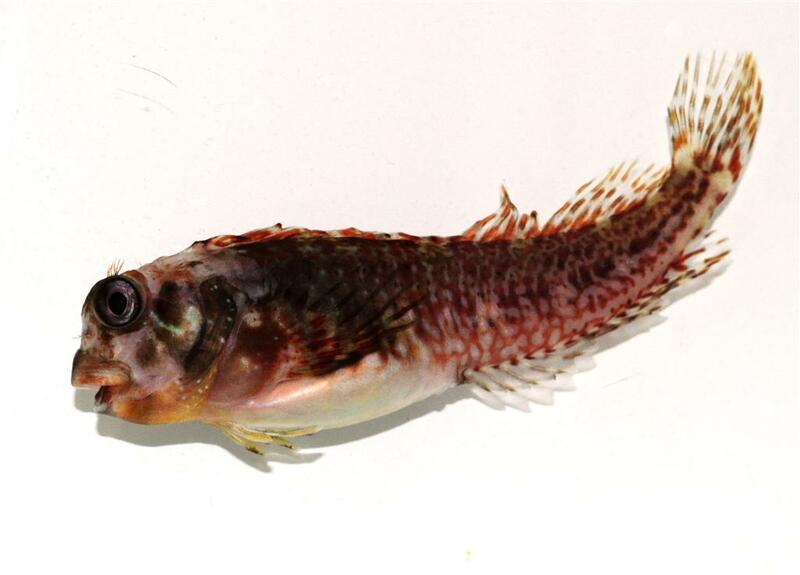 By most standards, the Molly Miller blenny is a spectacularly ugly little fish. Whatever it lacks in physical attractiveness, however, is more than remunerated with character. In addition to being fairly interesting to observe and remarkably hardy, it has proven itself to be useful for cleanup and control of various nuisance organisms. Hence, while it might not be a particularly “ornamental” fish, its mere presence can–by virtue of its unusual feeding habits–help contribute significantly to the beauty of display aquaria. 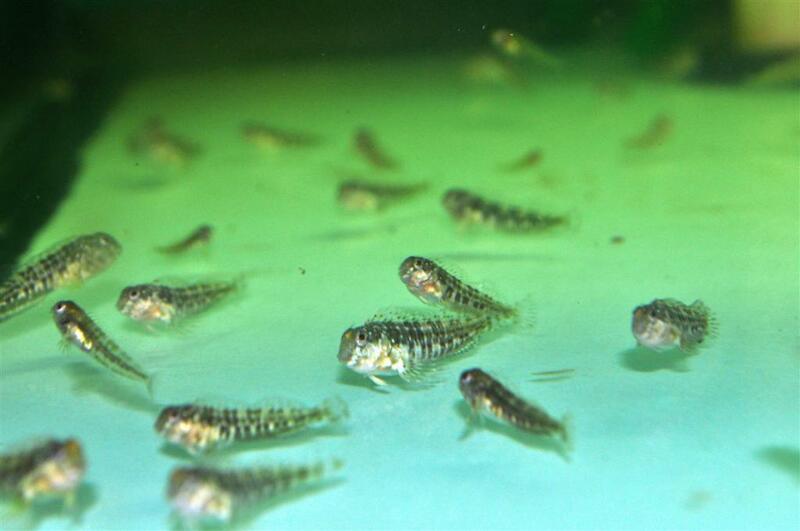 The recent availability of tank bred specimens will almost certainly increase its appeal among those aquarists that favor cultured livestock. Topolski, Marek F. 2001. Vertical distribution, size structure, and habitat association of four Blennidae species on gas platforms in the northcentral Gulf of Mexico. Master’s thesis. Auburn University, Auburn, Alabama.